Our latest Vancouver Mom on the Street is Sarah Jagger, a Dunbar mom of two toddlers. She is the Mrs. Fix It of her household and can be found re tiling a bathroom, operating her miter saw and installing crown moulding. She has been sewing all her life and she recently launched her business, DomesticObjects.ca, where she sells adorable play tents and teepees. When Sarah isn’t sewing she can be found running the seawall or travelling the world with kids kids in tow in search of fabric, supplies and ideas to bring back to North America. She collects fabric from the countries that she visits with regular trips to Indonesia, the Philippines and Taiwan. We recently connected with Sarah to get her insider tips on Dunbar. How long have you lived in Dunbar? We moved over from Kerrisdale in late 2010, so four wonderful years. What is your favourite thing to do with your kids in your neighbourhood? We love our time outdoors. Even in the rain. We go on adventures looking for squirrels, or riding our bikes around the neighbourhood. My kids are also obsessed with a house on Dunbar Street at about 31st with a toy train set up in the front yard. There is a button on the outside of the fence you push to make it go. What is your favourite local playground? Chaldecott Park. My two kids love the swings and especially the spray park in the summer. What is your favourite place to eat out with kids in your neighbourhood? With the kids we head to Kokopelli Cafe for the good coffee and kids play area. It’s one of our favorite things to do after a play at Chaldecott playground. What is the best thing in Dunbar that the rest of Vancouver doesn’t know about? There is the bog walk in the Endowment Lands at the end of our street and its a great little loop you can do with small children. I REALLY really wanted a play tent for myself – ahem – I mean for my kids. I ended up making one. Friends and family saw it and wanted one too. I made four and they sold right away. I now mainly sell them through my Etsy page and can ship around the world. I’m fortunate to travel with my husband often into Southeast Asia and love finding fabric from markets that are off the beaten path. 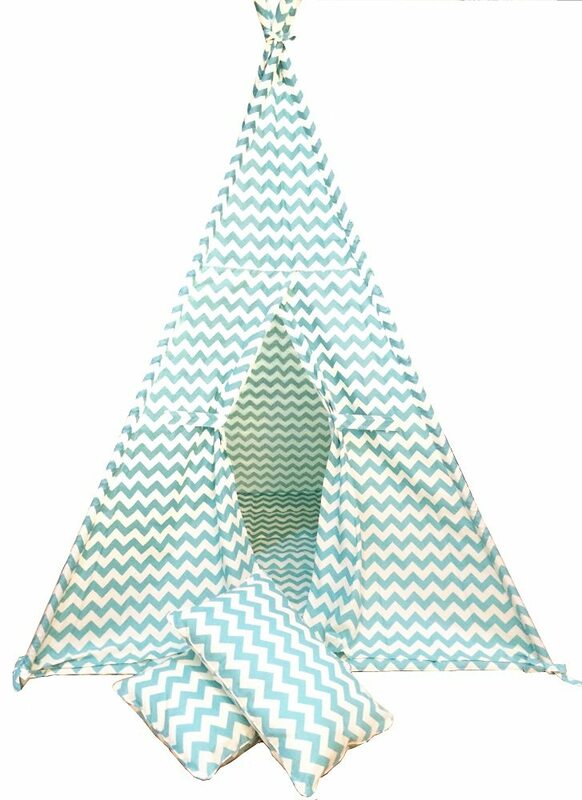 What is your favourite thing about creating play tents? My favourite thing about creating play tents is that its not just another toy. They promote the creative and imaginative play that is so important in child development. They work for such a broad age group and last for years of fun. Thanks so much, Sarah, for telling us about your business and giving us your insider’s view of Dunbar! To catch up with Sarah head to DomesticObjects.ca, or follow her on Instagram and Facebook. We hear she’s also willing to give our readers a discount if you email her and mention Vancouver Mom. Next PostToy Traders: So Much Fun! Toy Traders: So Much Fun!